Anthony N. Cabot is an adjunct professor at the Boyd School of Law and the William F. Harrah College of Hotel, both at the University of Nevada, Las Vegas. 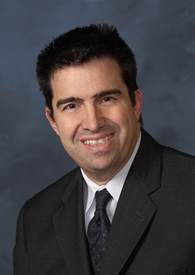 He is the practice group leader of the gaming law practice at Lewis and Roca LLP. He is a past president of the International Masters of Gaming Law, and serves as the vice president of the Nevada Council on Problem Gambling. Anthony writes prolifically on the subject of gaming law. Among his ten published books, Anthony authored the first editions of “The Internet Gambling Report,” now in its 12th edition. Most recently, he co-authored “Gaming Law: Cases and Materials,” a 698-page law school casebook published by the Carolina Academic Press and used extensively in gaming law classes across the United States.